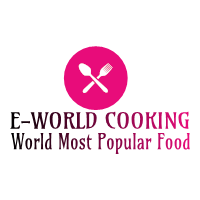 Veg Hakka Noodles Recipe ~ E-World Cooking-The World Most Popular Food. Today I am going to make a very easy tasty Chinese dish which is Veg Hakka Noodles, it's also an indo-Chinese dish. .Noodles are coated with different sauces, vegetables, garlic, salt, and pepper and quickly tossed in fried pan veggies. The Hakka noodles isn’t a part of Chinese cuisine, it is indo – Chinese and hence has a lot of flavors in itself. Please do try it, so let’s see how to make vegetable Hakka noodles. First of all, arrange all the ingredients required for this vegetable Hakka noodles. Here I have taken atta noodles, not Maida noodles. You can check the list of ingredients given at the back side of the packet written wheat flour in the list. You can take noodles of your choice, if Hakka noodles are not available you also use Maggi or long noodles. Before cooking please check the details of cooking time and the boiling time that all are mention on the packet itself, sometimes it may be little variation in cooking time. Here mention 4 minutes cooking time but I never get it cooked well in 4 minutes. Now need some vegetables for this vegetable Hakka noodles. You can take the vegetables that are available with you. Here I have taken cabbage, carrot, onion, spring onion, onion, different colors capsicum, and beans. Now wash all the vegetables and cut this in a proper way, that means cut the vegetables finely in a long shape for the noodles. Also, I have taken 2 garlic cloves finely chopped that is totally optional, some people also use ginger garlic paste, I don’t prefer it. We can cook the noodles after chopping the vegetables. If we cook the noodles while cutting the vegetables, there is a chance for getting the noodles overcooked, so try to cut the vegetables first. The vegetables to be added in the end should be kept in another plate together. Now take a kadai and add more water into it, please remember for cooking noodles the amount of water should be more. If water is less the noodles may stick on each other. Add some refined oil this water you can use sesame oil also for this Chinese dish. Once it starts to boil add the little salt into it as to taste, then add 150 gm. Hakka noodles. I am going to break this into half because I don’t want to make long noodles. Please check the cooking time those are mention on the packet because the cooking time required for the noodles varies from one another. If you want you can add cooked chicken or prawns along with the vegetables to make it a chicken noodles or prawns noodles .so boil the chicken/prawns first by adding salt and pepper into it then you can add them along with the vegetables and all other steps are same. When the noodles cut into pieces easily and if it is not sticking to each other, we can assume that it is cooked enough.it has taken almost 5 minutes for me. Now we need to sieve it through a strainer and pour cold water over the noodles. Sprinkle some oil on the top of the noodles & mix well when the water is gone thoroughly. Here I add 1/2 tsp. sesame oil because this oil is the main ingredients for the Chinese dish. Now keep it aside. Take a kadai adding sesame oil or refined oil 2 tbsp. once it hot add the chopped garlic and all the finely chopped vegetables. Don’t forget that the flame is in high, it gives a special taste. Nothing worry, if you don’t have all the vegetables try to make it with the vegetables available with you. Fry all the vegetables for 3 to 4 minutes. After 3 to 4 minutes add the cooked noodles into it. Mix it properly mix would become easier if you use two ladles.in hotels, they lift up the kadai several times to mix the noodles perfectly. Now we need to add the 2 tbsp. soy sauces and salt as to taste. Here I also add 1/2 tsp. chili sauce that is totally optional. If you want you can add one green chili in the beginning and sauté it along with the vegetables (It's optional).add 1/2 tsp. pepper powder(white/black).mix it, the smell has changed to another level when I add pepper powder into it. Be careful the flame is high, mix properly .now lift the kadai and mix them up. Thus it will mix properly and evenly. Adjust the spice level according to your taste. Now add 1/2 tsp. vinegar into it, the raw smell of water totally removed from the noodles.it could be removed only by cooking high flame. Now check the test and adjust spice level if anything required. If you can make it for kids please avoid chili sauce.so the yummy noodles are ready to serve is very good. Finally, add some chopped spring onions and sesame oil for good smell and good looking(it is totally optional). now switch off the flame and ready to serve. 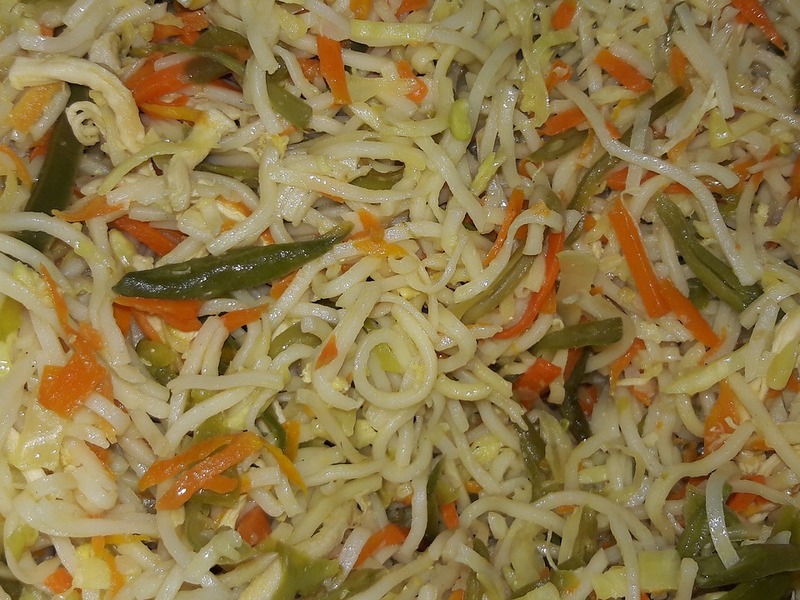 Everyone try to this vegetables Hakka noodles and share your valuable feedback after making it.